Cincinnati Machine, located in Cincinnati, Ohio, is a leading global manufacturer and supplier of standard computer numerical control (CNC) machine tools for general manufacturing, as well as specialized machine tools and composites processing systems, primarily for the aerospace industry. 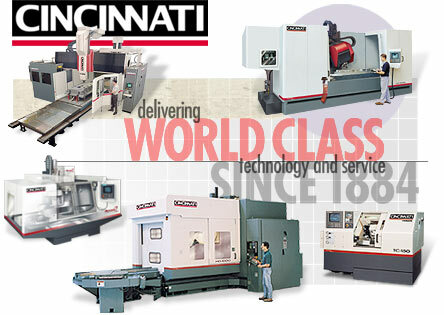 Since 1884, Cincinnati Machine has been a leader in the machine tool industry, developing unique technologies to meet the diverse needs of the metalworking industry. Today, Cincinnati is one of the world’s leading suppliers of advanced CNC machine tools. 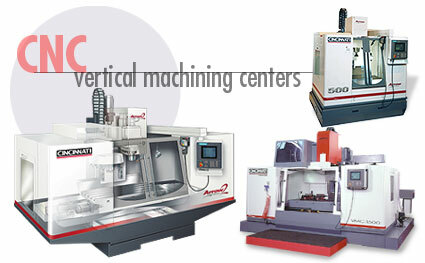 Cincinnati Machine is a division of UNOVA, Inc., the largest machine tool builder in the world. The heart of her success has been the people of Cincinnati Machine, her most important asset. Cincinnati Machine has always been known as a great place to work, and many employees who first joined Cincinnati as interns or co-op students stayed to pursue full-time careers at Cincinnati Machine. From students, technicians and skilled machinists to sales, engineering and marketing professionals, thousands have built exciting careers with her.